When you stay at Hotel Viva Baga in Baga, you'll be by the ocean, within a 5-minute drive of Calangute Beach and Baga Beach. This hotel is 2.4 mi (3.9 km) from Candolim Beach and 4.8 mi (7.7 km) from Anjuna Beach. When you stay at Sun Park Resort in Baga, you'll be in the entertainment district, within a 15-minute walk of Baga Beach and Calangute Beach. 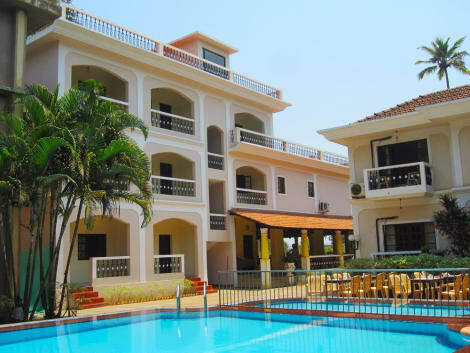 This hotel is 2.3 mi (3.6 km) from Candolim Beach and 4.9 mi (7.9 km) from Anjuna Beach. Grab a bite to eat at the guesthouse's restaurant, which features a bar, or stay in and take advantage of the room service (during limited hours). Buffet breakfasts are available daily for a fee. When you stay at Riverside Regency Resort in Baga, you'll be in a shopping district, a 2-minute drive from Baga Beach and 8 minutes from Calangute Beach. This hotel is 3.4 mi (5.5 km) from Candolim Beach and 3.5 mi (5.6 km) from Anjuna Beach. Grab a bite to eat at Celeste, a restaurant where you can enjoy drinks at the bar, take in the garden view, and even dine alfresco. You can also stay in and take advantage of the room service (during limited hours). Buffet breakfasts are available daily from 6 AM to 10 AM for a fee. 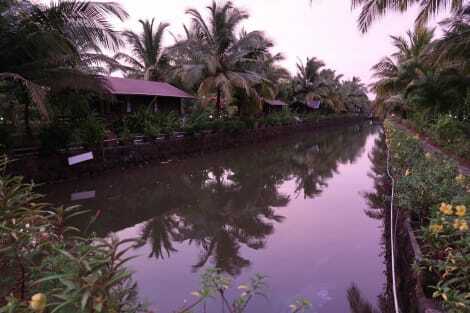 The hotel is 8 km from Mapusa Bus Stand and 9 km from Fort Aguada. Thivim Railway Station is 18 km away, while Dabolim Airport is 45 km away. The air conditioned rooms feature cable TV, a wardrobe and a minibar. The attached bathroom comes with shower facilities and toiletries. The restaurant offers Goan specialities alongside continental favourites, and i-room dining is possible. Reception staff can provide assistance with tour arrangements, laundry services, currency exchange and car rental services. Make yourself at home in one of the 33 guestrooms featuring refrigerators. Rooms have private balconies. Satellite television is provided for your entertainment. Bathrooms have bathtubs and complimentary toiletries. lastminute.com has a fantastic range of hotels in Baga, with everything from cheap hotels to luxurious five star accommodation available. We like to live up to our last minute name so remember you can book any one of our excellent Baga hotels up until midnight and stay the same night.